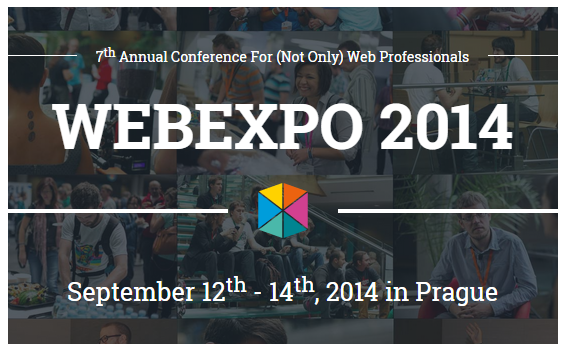 AVAST invites you to the WebExpo 2014 in Prague! WebExpo is the largest Central European conference focused on topics related to the digital world. Among many topics, this year's focus is security and big data. AVAST Software is not only a proud general sponsor of this event, but also an active participant. One weekend, over 1,400 online professionals, presentations, workshops, and lots of fun. WebExpo is a great networking and knowledge exchanging opportunity, and those here in Prague will get a chance to meet AVAST experts from various areas. You can meet the AVAST team at our booth, as well as on the stage. The AVAST booth is located at CEVRO Institut. For the less technically-oriented, we also offer some fun and prizes. If you spot someone wearing an AVAST T-shirt, grab a selfie with this person and post it on Twitter or Instagram with the hashtag #AVASTselfie. Come to our booth and show us the tweet or instagram post and you will receive a 1-year free license of avast! Premium Mobile Security!